The Merlin study bunk comes complete with a desk, bookcase and storage cupboard which fit neatly underneath a cosy bed. 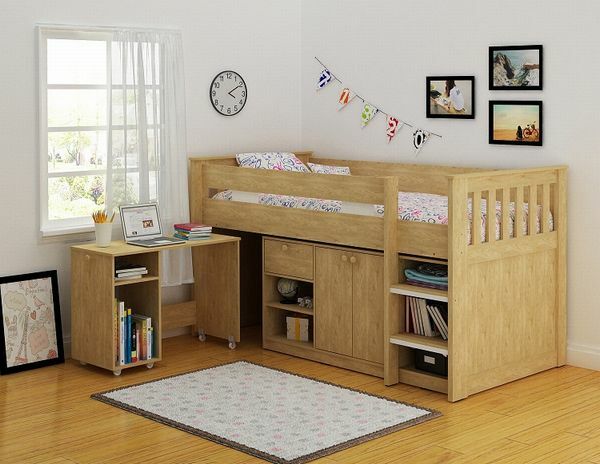 Available in oak effect veneer this bunk is a perfect solution for when space is at a minimum. Delivery Cost - £38.00 (there is a £4 delivery discount for each extra item ordered).